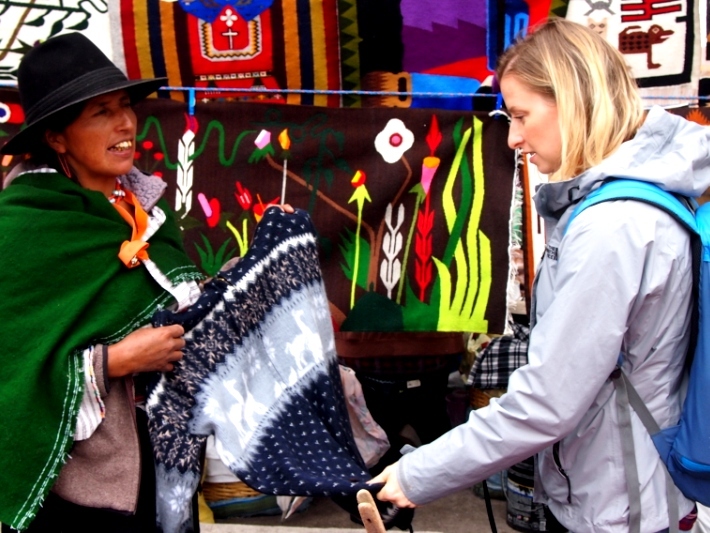 Volunteering and travelling in Ecuador: what an adventure! Diana has just recently returned from travelling in Ecuador. She first spent time volunteering at the monkey sanctuary on the edge of the Amazon rainforest, before then spending time volunteering at the wildlife sanctuary in the same area. After that, she chose to go it alone, heading off into Ecuador to do some more exploring. Here she tells us about the challenges she faced, the wonders she encountered and the life lessons that she learned. I chose to take an extra week after the second project to explore Ecuador. Without working on the projects first, this would have been quite difficult. I felt I had got some grasp and understanding of the county. Many of the other volunteers were all well travelled and gave me invaluable advice about where to go and what to do. On my last day, I packed my rucksack, went to the bus station and set off into the highlands where I stayed in a tiny hotel in an old colonial town. I really was the only tourist in town, but managed to find a guide to take me on a day-trip into the mountains to visit the villages in the shadow of Cotopaxi volcano. On the second day one of the volunteers from the monkey sanctuary came to join me so Helena and I began another journey of discovery. 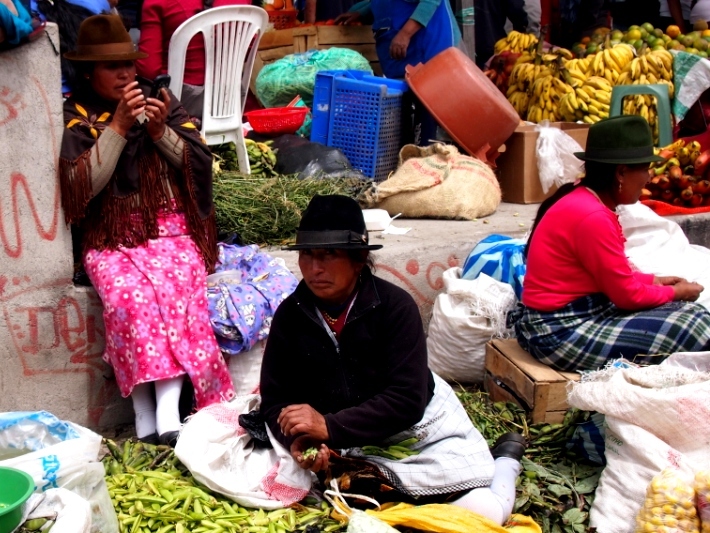 By bus, we travelled higher over 3000 metres into the mountains to a massive, sprawling indigenous market selling everything, including animals, pots and pans, fruit and vegetables, medicinal potions made out of slugs and everything alpaca that you could imagine. We were warmly greeted wherever we stopped. We only saw two European people all day. 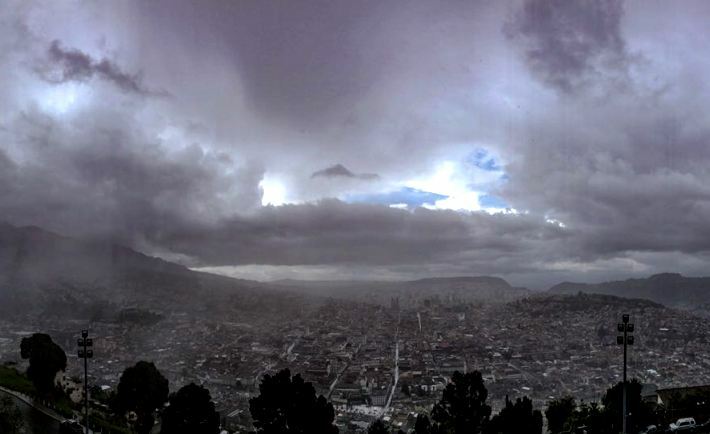 On again to the capital Quito staying in the most amazing hostel with a huge terrace overlooking the city. We joined the Easter festival with parades of men dressed in purple robes accompanied by brass bands and street food on every corner. One thing I learned In Ecuador: when you ask anyone how long something will be the answer is most likely 20 mins. It usually turns out to be an hour and a half. Once you have your head around that, it is easier to pace yourself. Armed with that knowledge, every challenge was never quite as hard as I imagined it would be. Don’t stop moving I learned… momentum is everything… hesitating does not help. There were times it rained so hard that I took off my t-shirt, wrung it out and put it back on. In the mornings I put on what was least damp. Ecuadorian people are naturally friendly and I felt perfectly safe while travelling. In Quito there are some no-go areas after dark, but I look local advice and I was fine. It was something of a wrench to leave. I came to Ecuador for a complete break with ‘normal life’. Gradually I was able to disconnect myself from my phone, my emails and the things that normally buzz around my head with no particular purpose. I noticed that I am used to high pressure environment and have a lot going on. A lot of lists. It took me a while to work out that I am probably addicted to multitasking and I find it quite hard to master the discipline of doing one thing at a time. If someone asks you to cut up a mountain of fruit and put it in the right buckets according to the animal’s diet, that is what you have to do… no responding to a bleeping phone or going off and answering emails or dealing with the latest news. I took with me the beginnings of a new perspective and of course, a new and rather different ‘to-do’ list.